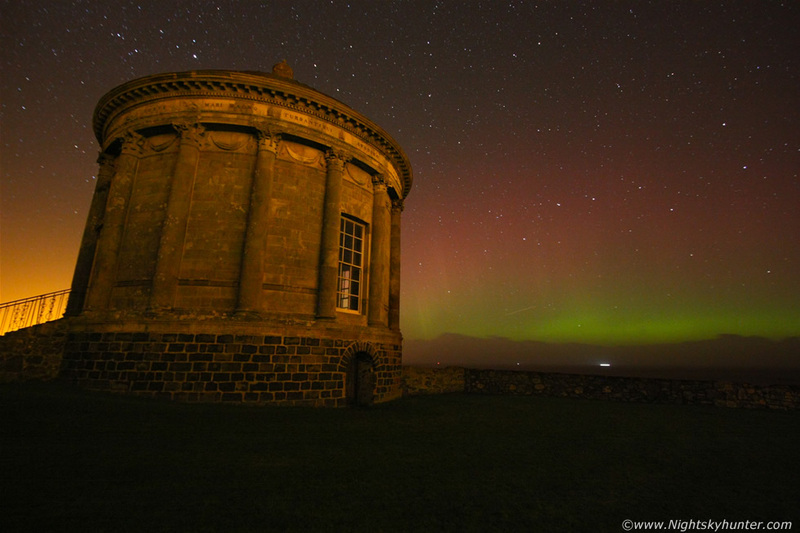 Major aurora outburst over Mussenden Temple on October 30th/31st 2013 at the north coast of N. Ireland captured with a 10mm ultra wide angle lens. The aurora was visible all night however this 15-20 min long outburst was simply stunning which not only made the night but the entire year with bright ghostly beams of light multiplying and creeping across the dark ocean horizon reaching over 40 degrees high into Ursa Major and becoming a rare Halloween aurora display after midnight. An unforgettable night and an outstanding visual show and emotional experience at this historic and legendary location, read the report for more information. * All images are available for sale in the form of photo prints, canvas or digital files for licensing, if you are interested in a purchase simply drop me an email.